The new Genie positive air shutdown system for Tier 4F Deutz diesel engines is designed with an automatic engine shutoff feature that includes RPM monitoring. This feature is simple to use and meets the strictest jobsite requirements and global environmental standards. Genie booms and telehandlers are now available from the factory "rental-ready" forindustries and applications requiring positive air shutdown, including uses on oil and gas, mining and indoor factory jobsites. To prevent diesel engine runaway in sensitive work environments, the new modern Genie positive air shutdown system meets the strictest jobsite requirements and global environmental standards. "This new safe-use solution is designed specifically for Genie booms and telehandlers equipped with Tier 4F Deutz diesel engines," said Sean Larin, Genie product manager, Terex AWP, "simplifying operation and service to help our customers maximize rental uptime and increase their rental return on invested capital [rROIC]." "This scenario occurs when combustible gas, dust or vapor is sucked into a diesel engine's air intake," he said, "causing the engine RPM to speed out of control. In sensitive environments like oil refineries, diesel engine runaway may result in engine and other damage." The new Genie positive air shutdown system for Tier 4F Deutz diesel engines is designed with an automaticengine shutoff feature that includes RPM monitoring. This feature is simple to use and meets the strictest jobsite requirements and global environmental standards. This new Genie system comes equipped with a plug-and-play CAN bus controller to monitor the engine's standard RPM sensors, a sealed butterfly valve and a long-life motor, which reduce the risk of downtime compared to third-party kits, which tap into bell housings and alternator outputs. And, installed from the factory, it can save customers up to a full day of installation time and expensive labor costs compared with putting in third-party systems. 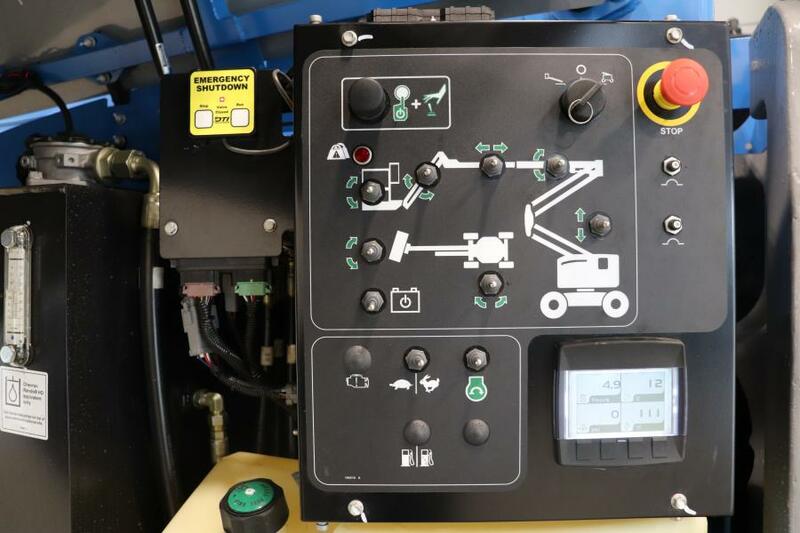 And, this new system features a push-button valve test with engine on or off to minimize the time needed for a pre-operation inspection and testing. Backed by Genie support and warranty, the Genie positive air shutdown system for Tier 4F Deutz diesel engines is now availableas a factory-installed option and in the future as a Genie aftermarket parts kit. For more information, visit www.genielift.com.